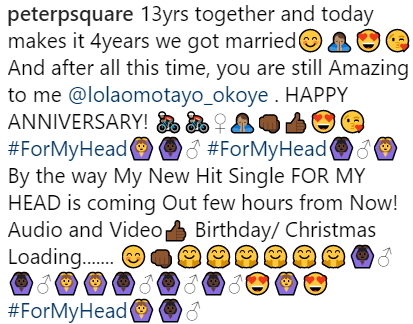 Nigerian pop singer Peter Okoye aka Mr P and his beautiful wife, Lola are celebrating the 4th year of their wedding today Friday the 17th of November 2017. 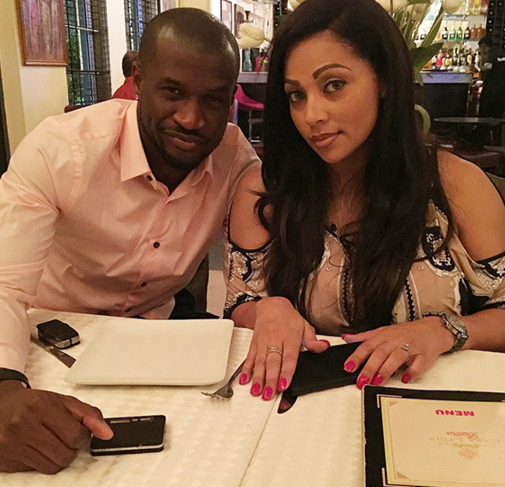 Despite opposition from Peter Okoye’s family side, Lola, the mother of Peter Okoye’s two kids stood by him. 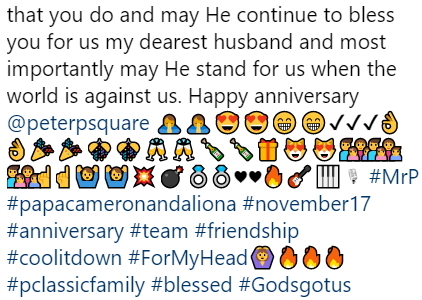 The couple also used today to celebrate their 13 years of being together. 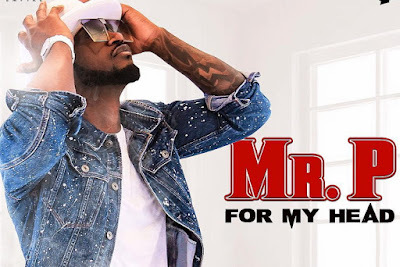 To crown it all, Peter just released his second solo single titled My Head. Peter’s new single was released a day after his brother, Paul released his first solo ‘fire fire’. You will go places . 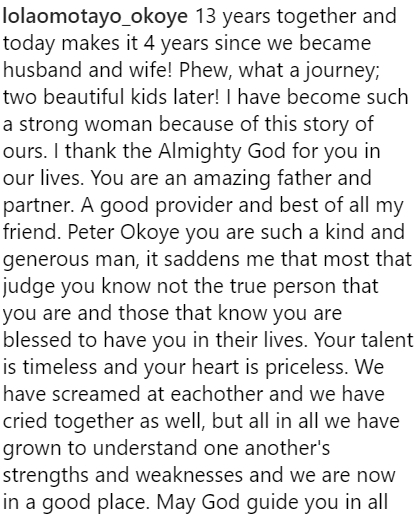 Courage Mr P.
You are classy and very talented.im ur number 1 fan.